Where is your water filter located? Nearly 100 years ago the Frigidaire brand was born and quickly became the first company to mass produce what we consider the modern day refrigerator. The name Frigidaire became so popular during the first half of the 20th century; many people used it synonymously with the word refrigerator! In addition to refrigerators, they now produce all types of air conditioners, residential and commercial freezers, ovens, stoves, ranges, washing machines, dryers, dishwashers, microwaves and many other appliances. Throughout the years, Frigidaire continues to produce innovative, stylish and dependable products keeping the company at the forefront of industry leaders. Frigidaire refrigerator filters will remove chlorine and many other different contaminants from your drinking water. Be sure to replace your Frigidaire refrigerator filter cartridges when you see the indicator light turn red or every 6 months. Let the PureH2O PH21600 compatible refrigerator water filter refine your tastes as you reject unfiltered water and the more expensive Frigidaire WF1CB and Water Sentinel WSF-2. 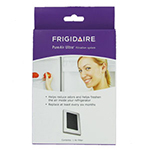 If it is time to replace your refrigerator water and ice filter then the Frigidaire ULTRAWF Puresource Ultra replacement is the right choice. 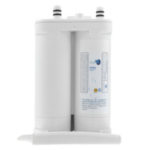 The Frigidaire WF3CB PureSource 3 replacement refrigerator water and ice filter is a genuine OEM part that improves water quality and taste. The Frigidaire WF2CB PureSource2 replacement water and ice refrigerator filter delivers exceptional taste and fewer impurities. The Supco WF284 can be used as a replacement for Frigidaire and Electrolux part numbers WFCB, WF1CB, RG-100, and Sears part numbers 46-9906 and 46-9910. 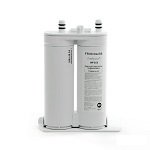 Give your water a makeover with the PureH2O PH21610 Replacement for Frigidaire PureSource 2 refrigerator water filter that reduces pollutants to make your water look and taste better. 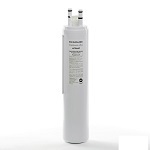 The PureH2O PH21600 Replacement for Kenmore 46-9910 9910 fits all Puresource equipped refrigerator models made after April 2001. 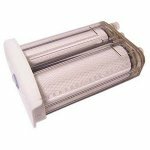 The PureH2O PH21600 Replacement for Frigidaire NGRG-2000 compatible filter cartridge fits all Puresource equipped refrigerators made after April 2001. 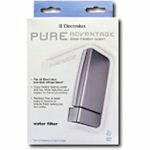 The Electrolux EWF01 Pure Advantage Water Filter fits all Electrolux branded refrigerators, except for Electrolux ICON side by side models. The Electrolux EWF01 will fit Electrolux ICON french door models. The Electrolux Pure Advantage EWF01. 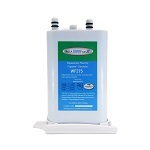 The AquaFresh WF276 is the correct replacement refrigerator water filter for the Electrolux EWF01. 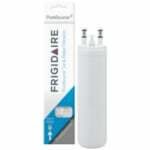 The WF1CB PureSource Frigidaire Water Filter fits all Puresource equipped refrigerators made after April 2001. 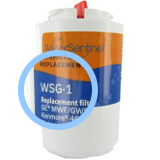 This water filter replaces part numbers WF1CB, RG-100, RG100, RF100, NGRG 2000 and Kenmore 46-9910. 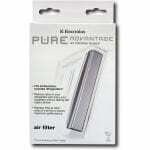 The Frigidaire 242086201 compatible filter helps to bring higher quality drinking water to your kitchen. The economical carbon filtration media helps keep water cold and refreshing and its available right from your refrigerator water dispenser. The PureH2O PH21600 Replacement for Frigidaire Kenmore WF1CB reduces chlorine, taste, and odors from the water delivered by your refrigerator. 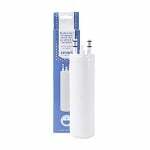 PureH2O PH21600 Replacement for Kenmore 46-9906 9906 is the compatible replacement for the Frigidaire WF1CB refrigerator water filter. 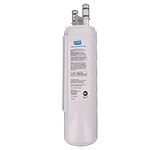 The PureH2O PH21600 Replacement for Frigidaire RC-200 compatible water filter reduces chlorine from your ice and the water coming from your refrigerator dispenser. 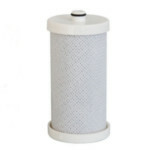 The carbon activate filter media is designed to last.